Pink flowers are arranged in a dazzling display in the Too Precious Bouquet. 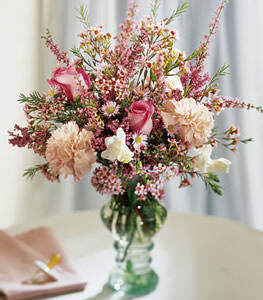 Heather, pink roses, pink carnations, white freesia and more are softly arranged in a glass vase. A terrific way to send your best wishes.